The awards focus on those actively excelling at upskilling their workforce and those supporting hub South West’s commitment to engaging local companies, communities and young people through our projects. These awards will commend local companies for their commitment to inspiring the next generation of professionals within the industry, as well as those firms committed to nurturing staff already working in the sector. Each Category will be divided into two – companies employing more than 25 people and those with under 25 people. 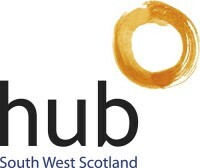 All entries must be directly linked to a specific hub South West project i.e. any initiative entered must have been rolled out on a hub South West project, any company entering must have been contracted on a hub South West project. Entries are limited to one per company. Best Employment Initiative for Young People: will be judged on the criteria of youth employment, the introduction of construction as a viable career path, structured framework apprenticeships, graduate programmes, and initiatives target at women, the disadvantaged and disabled. Best Training Culture: will examine ideas and programmes that have proven successful, with a learning platform that encourages training and staff development that underpins the overall development of the business. Finalists selected are expected to do a short presentation on their company initiative on the day to a small invited panel. Representatives from hub South West, all Tier-1 Contractors, Scottish Futures Trust , local Authorities, Training Companies and local SME’s will be in attendance on the day.